A gathering for peer-to-peer sharing of best practices among Training managers / directors or others directly responsible for design/delivery of talent development programs within their organizations. Meets: The Learning Leaders SIG meets the last Wednesday of the month. 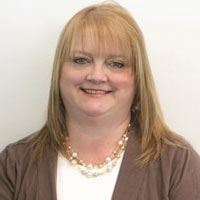 Leah Cridlin has 21 years of diverse experience in training & development. She earned her degree in Organizational Training & Development and has dedicated her career to training & learning. Her experiences include developing & facilitating training for The Department of Army family member programs, the coordination of continuous educational seminars, writing & facilitating medical technical training, facilitating train the trainer seminars, and much more. Leah joined Balluff, Inc. just over 2 ½ years ago as their Training & Development Specialist, where she is responsible for internal employee training. Katie McLain has 10 years of professional experience in Sales Management, Human Resources and Corporate Training within the retail and new home construction industries. She possesses a Bachelor's degree from Centre College in English and Government and has been working for Fischer Homes since 2013 where she oversees the development and facilitation of all sales and construction training as well as various professional development topics. In addition, she has co-authored a field mentoring program for Sales Professionals that was implemented in January 2016 and a train the trainer program to be implemented by November 2016. She is excited to be serving GCATD in this capacity! Jon Ulrich's 7 year corporate career has consisted of Supply Chain Management, Change Management, and Training Design and Delivery for Exelon and its subsidiaries. Upon relocating to Cincinnati in 2015, Jon shifted focus to non-profit work. He now leads marketing efforts and creates programs for Dramakinetics, a non-profit in Northside. Jon is a co-founder of Coincidence Improv and manages its Team Building and Skill Cultivation services for organizations. He is delighted to be part of the GC-ATD team! The corporate setting no longer includes all employees under the same roof, on the same complex or even in the same city. Working remotely is more common than ever. Which brings up a good question, how are we leading these remote teams? Our leadership skills need to be sharp and consistent when working with remote teams. Our discussion will be based on the book, The Long-Distance Leader, Rules for Remarkable Remote Leadership, by Kevin Eikenberry and Wayne Turmel. We will focus on two models from the book, The Remote Leadership Model and the Three O Model of Leadership. There will be a light breakfast served. We look forward to your participation in our April discussion.